The Volvo 240 is no stranger to these pages, in fact, the only thing strange would be if we DIDN'T post this next car. Why? Because its got a boxy exterior, appliance white paint, BBS wheels, and a B230F/T boosted into a M47. 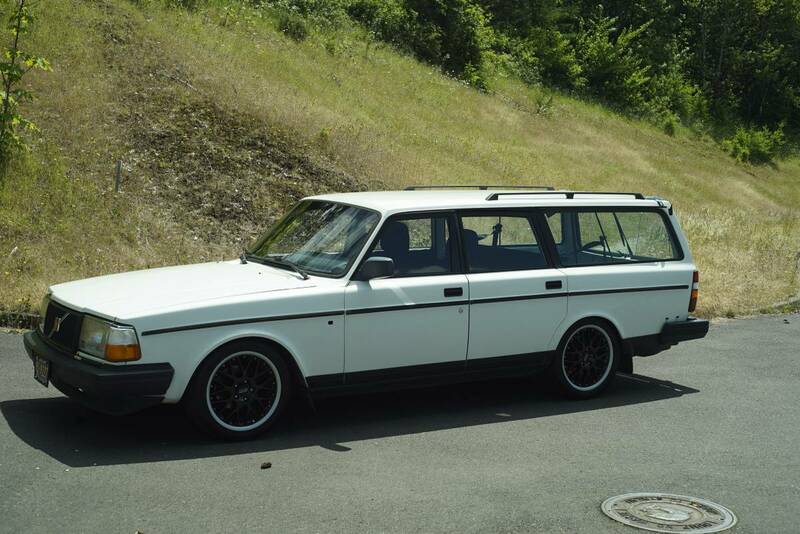 Find this 1991 Volvo 240 Turbo Wagon offered for $4,800 in Eugene, OR via craigslist. Tip from FuelTruck. For sale is a modified 1991 Volvo 240 SE wagon. White body in good condition, the SE wagons are very rare and include all options available at the time, note the minimalist roof bars. No structural rust anywhere. One dent in passenger front fender, I have an extra fender I can include in good shape. This has been a daily driver/project for a few years now, but I've got too many cars and need to thin the herd a little. Actual Volvo crack free dash!! 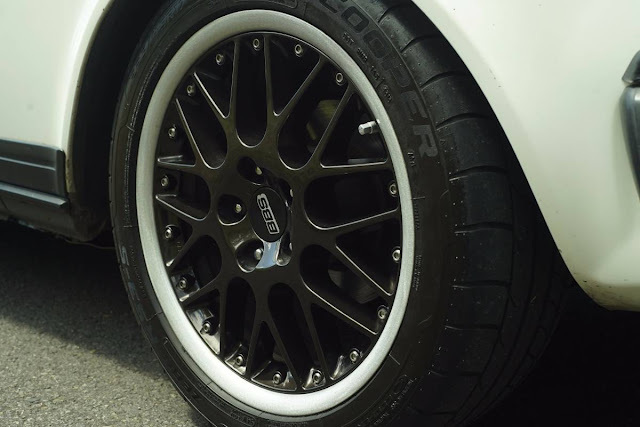 Price is for car as it sits, including the custom painted Propus-C wheels mounted on 25mm hub-centric spacers front an rear. Will be willing to negotiate price for car without wheels, and I can send you on your way in some Virgos and decent tires. If only I had money! And it's only 3 hours away. And it looks amazing! Just needs some tint and A/C, then it would be perfect.